This is the first Doctor that I've liked. A friend of mine who's been a real Doctor Who fan doesn't like him. But we both agree that Clara is perky and nice to look at, but there's nothing original about her. I think it would have made sense if she had left at the end of the Orient Express episode. That's one of the main rubs; the Doctor's companions are all supposed to be interesting, and she feels too generic now. It's very sad. 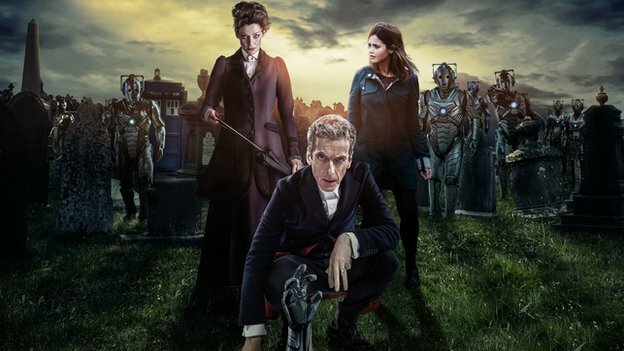 The problem with Clara is that she was only ever a plot hook. Her introduction was "Look at me! Aren't I cute and perky? I can talk real fast! Don't you just love me? You love me now right?! You're supposed to love me! LOVE ME!" There was nothing interesting about her, but there was that sense that the writers felt we were supposed to adore her. She started to actually become something this season (and you've already outlined where that went south, though I remember being really annoyed at her once before for feeling righteous when she was at fault) before her character was relegated back to plot hook. I agree that she and Danny should've either lived happily together after the Orient Express (at least until bad things happened that resulted in the finale, which was very well done). As much as I would've enjoyed him seeing more facetime for him that being a companion would give, he is very much not a companion and that would've been uncharacteristic. But overall? I'm still happy with this season because it's so much of an improvement from the past few. I don't expect it to magically go back to the good, complex, non-plotline-dropping writing that was 9/10, but I'm glad to see it might be heading back in that direction. And also glad to have a Doctor I like again.